A while back we launched a free image optimizing service over at wurfl.io. This turned out to be a huge success, and we’re now serving billions of images every month, saving the end user kilobytes of data per image! We’re not only happy because of the great numbers, but also because this proves that the web industry is increasingly concerned of performance and optimization. Another reason may be that the Responsive Images specification didn’t turn out to be the silver bullet after all. We got some feedback on our blog post where we wrote about Responsive Images and the need for server side logic to make it work properly saying the examples we used were “artificial” and that the scenarios were just not realistic. As the time has passed however, more blog posts out there has concluded similarly. Jason Grigsby of Cloud4, stating it very clearly that the image logistics is work is a task for the server. Further, Ilya Grigorik of Google takes it a step further with spear-heading Chromes implementation of Client Hints. 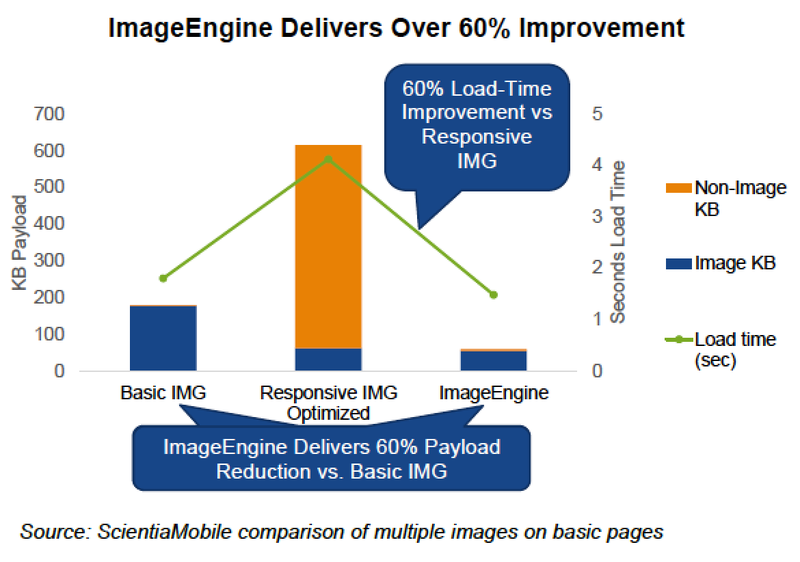 Google’s work with Client Hints is indeed confirming that services like ImageEngine has a very important role to play in the web performance space. Speaking of Client Hints. ImageEngine has full support for Client Hints. This means that we’re now able to offer lazier precision even on sites using responsive images on desktop browsers! For everything else, we have WURFL which does the same job, but for mobile devices. Another great thing that we have launched is full HTTP/2 support! Which is surprisingly well supported in both mobile and desktop browsers! The end user will notice this by faster image download because the browser does not need to connect to the server for every single download. Potentially saving hundreds of milliseconds. Yet another feature which we implemented because the browser support is broad, is support for webp, Googles own light weight image format. We only serve webp if the browser supports it, of course. This will also save another 25-34% of image data compared to jpeg. So, to summarize, the popularity of the free “WURFL Image Tailor” (WIT) service has been overwhelming and timely. That’s the reason why we have spent a lot of time lately to make it even better with support for the most important new features that will greatly impact performance on your web site. In the process we also renamed the service. Now, it is called ImageEngine. We still offer the free edition, now called ImageEngine Lite. From a free user’s perspective the biggest difference is that you now have to sign up for an account. This is because we need to identify who is responsible for the traffic in case something happens. The diagram speaks for itself. Now, you can try out ImageEngine for free!